RIGHTWING EXTREMIST ANDERS Behring Breivik, who is serving a 21-year jail sentence for killing 77 people, has complained to the Norwegian government over prison conditions akin to “aggravated torture”, his lawyer said today. For safety reasons, the 33-year-old has been kept away from other prisoners in a cell that has its own exercise yard, where he is entitled to spend one hour each day. “No matter what crime you have committed, you shouldn’t be subjected to degrading treatment that there is no justification for,” Breivik’s lawyer Tord Jordet said. “There are rules governing imprisonment and they should apply to all,” he added. The Norwegian justice ministry said “the right to file a complaint is part of the rule of law, which also applies to people held in prison”, and that it would cooperate with the police. It declined to comment on the content of Breivik’s complaint. Accusing the Labour party of facilitating multiculturalism, Breivik opened fire on the summer camp of the party’s youth wing on July 22, 2011, killing 69 people, most of whom were teenagers. He was in August 2012 found sane and sentenced to Norway’s maximum sentence of 21 years in prison, a sentence that can be extended indefinitely if he is deemed a continued threat to society. “The supposed motive (for this treatment) is vengeance and an attempt to drive him to suicide by making the conditions of his detention unlivable,” Jordet said. 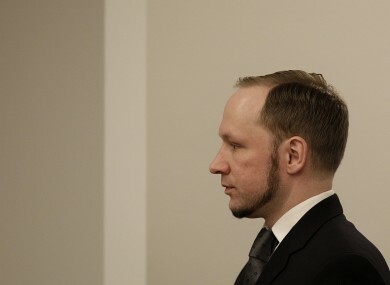 Email “Breivik files complaint over "aggravated torture" in prison”. Feedback on “Breivik files complaint over "aggravated torture" in prison”.